Re: What is this banananana? 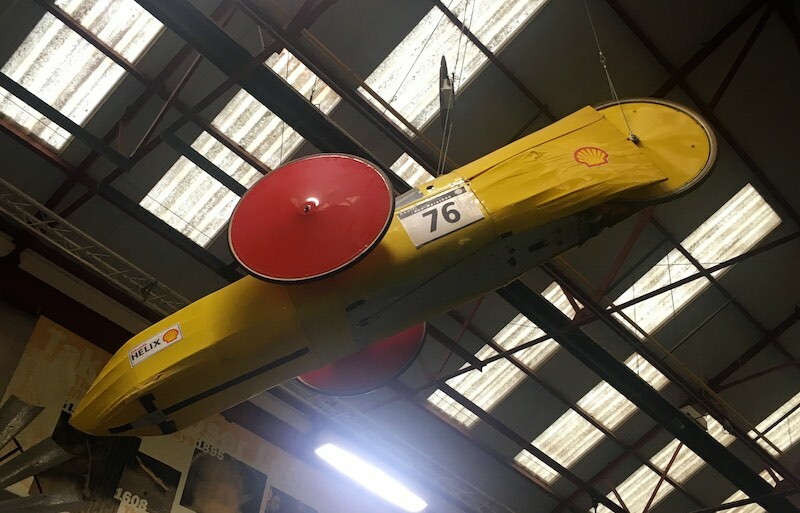 From the logos and the number I'd say a participant in a Shell Eco-marathon . Not sure which. On the ceiling, by the look of it. In the cradle of the Industrial Revolution. The disused factory where Harry Palmer found the Ipcress tape...? I don't know but I'm sure I've seen photos of it before. Those big red wheels look familiar. Definitely an Eco-marathoner, petrol powered (they're the ones with the low numbers) but I can't see i in the results from the last three European events.